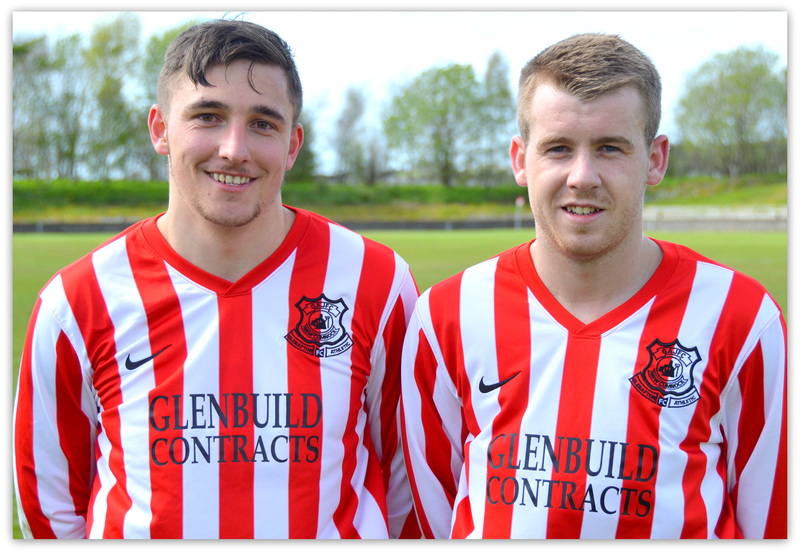 Glenafton made a couple of changes to the team the started in the victory at Arthurlie last week with Chris Meikle and Aaron Connolly replacing Craig Menzies and Alain Kinney who were both unavailable for selection. The home side kicked off with a strong gusting wind at their back and were first to show with a Daniel Orsi shot from outside the box forcing an early save from keeper Adam Strain. Another half chance came and went for the Glens before Beith took the lead on 8 minutes with a peach of a goal. The visitors pushed forward through the middle with a string of telling passes before the ball fell for Darren Christie on the outskirts of the box and after a twist and a turned he lobbed the ball over keeper Brian McGarrity at full stretch and into the corner of the net. The home side came within a whisker of drawing level after Orsi danced deep into the box and his squared ball missed the foot of Darren McGill by the length of a toe-nail. Orsi was soon on the move again and had John Sheridan in a spin in the box as he skipped past him on his way to the bye line only for Kevin MacDonald to block the cut back for the incoming Connolly. 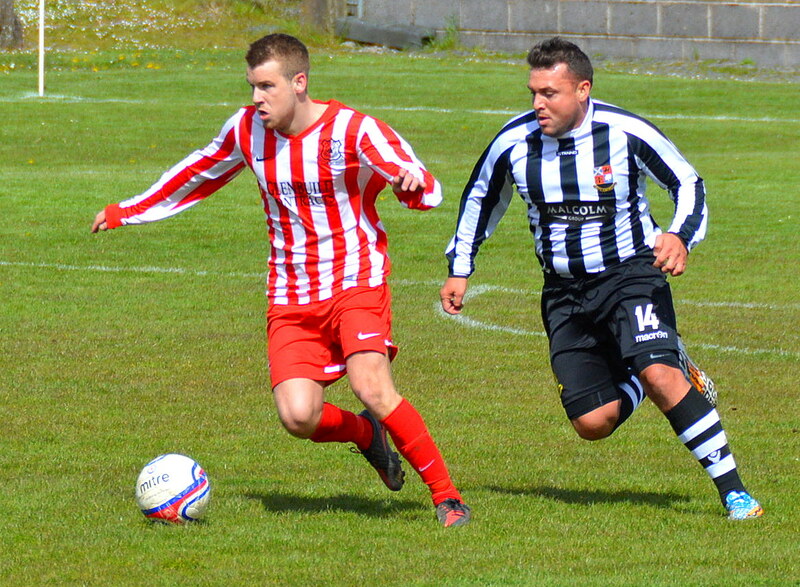 The resulting corner was met by Jamie Hay only for his drive from 15 yards to scream over the bar. On 14 minutes McKernon’s short-corner to Michael Wardrope was chipped into the box and although the ball was won in the air by Ryan McChesney the header lacked direction to test the keeper. 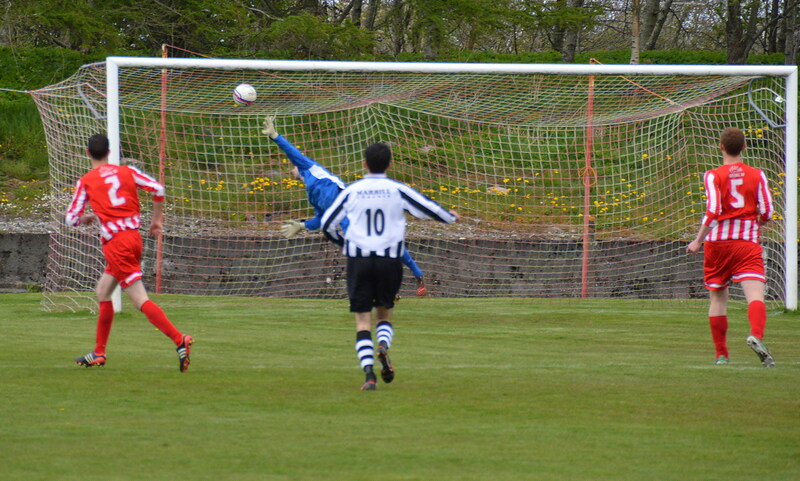 Another corner quickly followed and Meikle out-jumped Wilson only for his header to loop over the bar. Strain sprinted out his box to beat McGill to the chase for a long through ball. The home side continued to press and Hay won another midfield duel to find McKernon who fended off Joe Bradley before whipping a wicked ball across the face of goal where Zander Ryan did enough to prevent McGill from connecting. 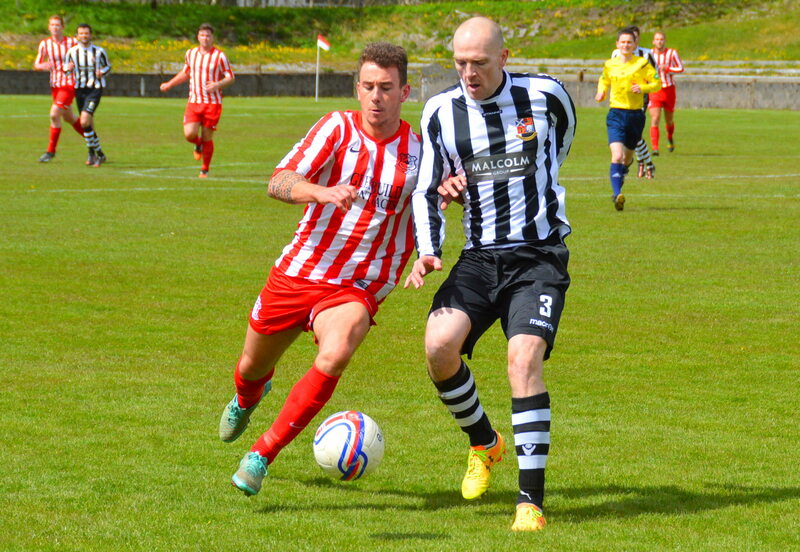 Beith did battle their way upfield against the ferocious wind on but the attacks lacked the puff to test McGarrity. His counterpart continued to show a safe pair of hands and after clutching a header from McGill and soon after a shot from the lively Orsi, after he had skilfully slalomed his way past a static line of defenders. At the other end Nikki Docherty’s angled shot was blocked by McGarrity and cleared by McChesney as Andy Reid prepared to pounce. After the half-time oranges Beith, now with the wind at their back, were quickly on the front foot and giving the home defence food for thought with Ryan overlapping down the right and Bradley wriggling down the left providing options for breaking into the Glens’ box. Hay’s timely tackle on Docherty prevented further damage before McGarritty cleanly clutched a corner, won after Reid and Bradley had combined well. Strain matched this at the other end when he plucked an Orsi cross out of the air. A blow for the home side just before the hour mark when McChesney failed to recover from an earlier knock. On came Craig McGuffie with Orsi dropping to right back while Jamie McGeoghegan, captain for the day, moved into the centre of defence. The visitors continued to press and Reid rifled a free kick from 30 yards and the ball bulleted inches wide of the post beyond the reach of the air-borne McGarrity. Some respite for the home side and Alan Cairns free-kick from tight on the left found the head of Orsi at the back post only for his knock-down into the six yard box to be mopped up by the Mighty defence. The Glens’ goal then survived a two minute onslaught. 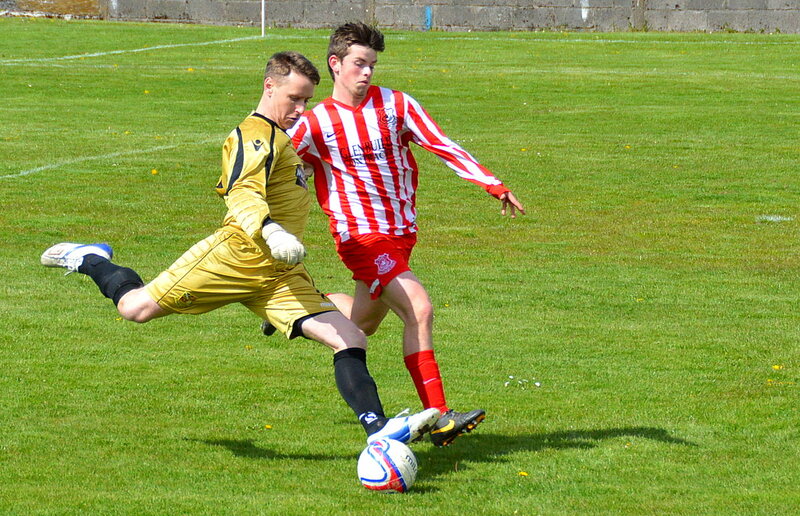 McGarrity got down low to push another low angled drive by the impressive Docherty past the post. McGeoghegan headed the corner clear only for Christie to fire the ball back into the danger area where Paul Frize’s flashing header was blocked by McGarrity at the feet of Sheridan. 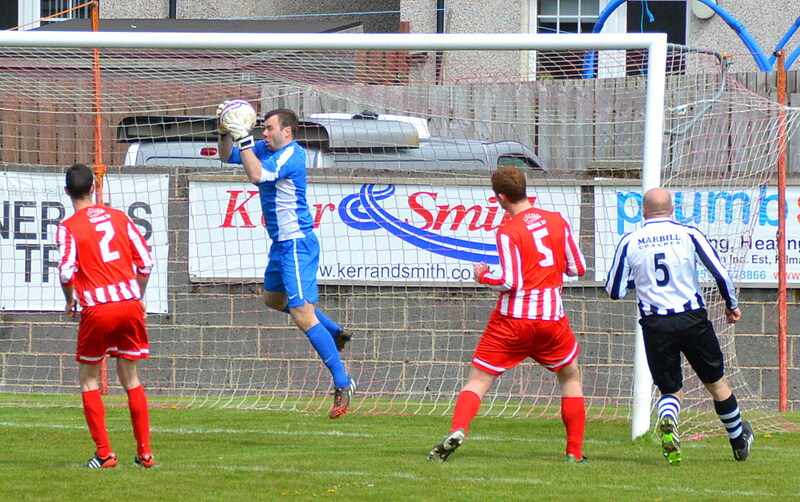 The follow–up corner was partially cleared by McGill and the loose ball cannoned off Sheridan and over the bar. 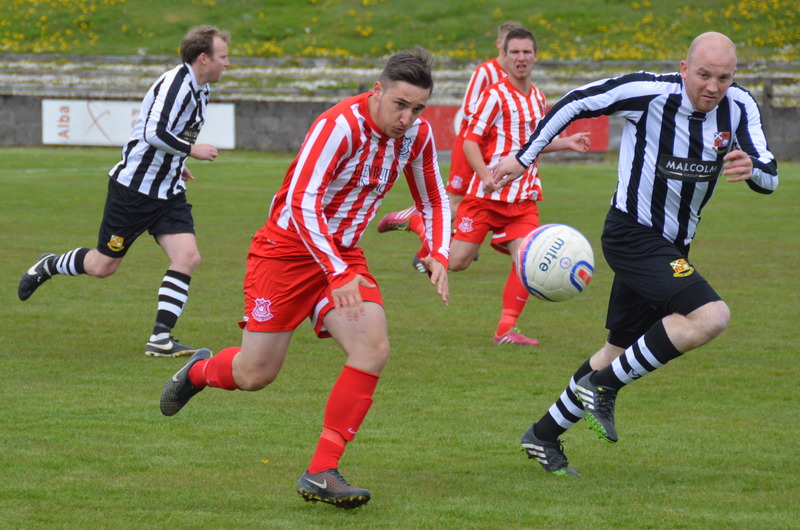 Hay broke down another Beith attack and the ball eventually fell for McGuffie on the half way line. The midfielder made excellent progress to the edge of the box before fashioning a shot that went just wide of Strain’s goal. The keeper’s wind assisted clearance caused confusion in the Glens defence and left Andy Reid with the simplest of touches to usher the ball into the gaping net to double the visitors lead on 66 minutes. Although the home side created the best of the remaining chances, Strain denying McGuffie on three occasions, the visitors’ lead looked unassailable and Beith ran out worthy winners. 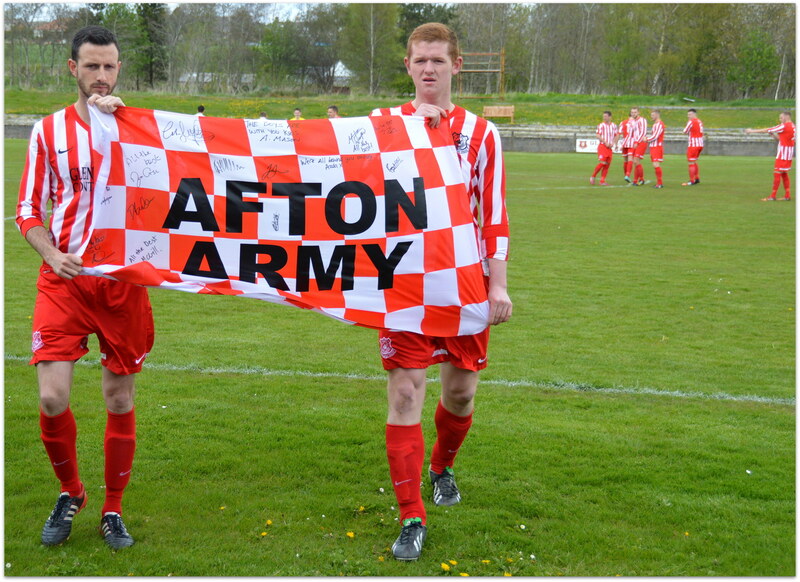 This entry was posted in GAFC Match Report and tagged Beith, Glenafton Athletic, New Cumnock, Scottish Junior Football. Bookmark the permalink.